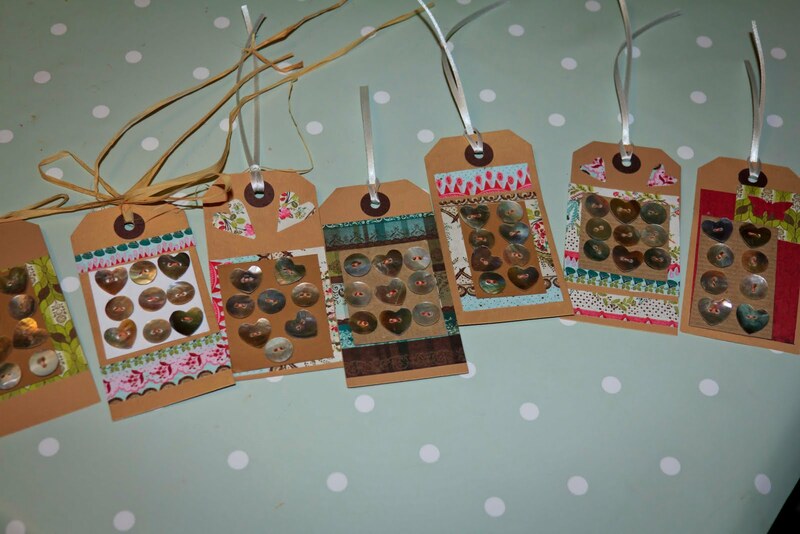 I have been making pretty button card gift tags. They can be used as as a functional gift tag and have space on the back to write a personal message. I also think they make a really sweet little present and are so light that they won't cost much to pop in the post to a friend! I love mother of pearl buttons and they can be used in so many different craft projects. The buttons are hand sewn onto card and are then mounted on to decorative papers and fixed on to a traditional brown luggage tag. Christmas tags coming soon!